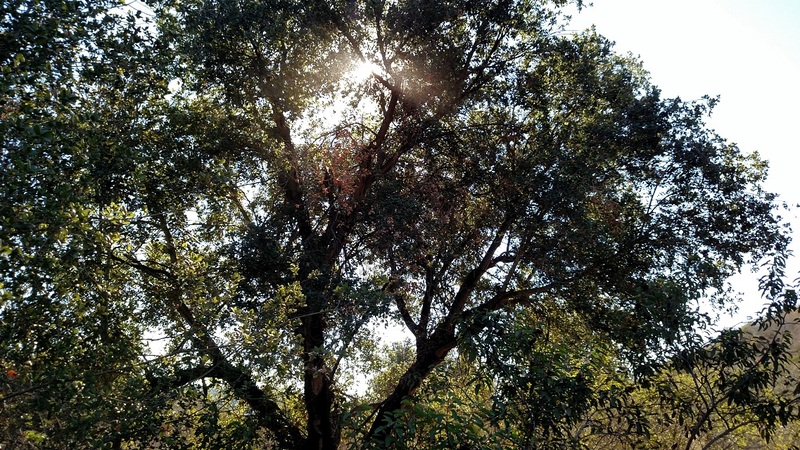 Location: El Caballo Park, Escondido. From the I-15/Highway 78 interchange, continue east on Highway 78 an take the first left onto Broadway. Go 0.5 mile and turn right on El Norte Pkwy. Follow El Norte about 3.5 mile to its ending at Valley Center Road. Turn left and go 0.5 mile to Beven Drive. Turn left onto Beven and make the first right onto Save A Life Way (don’t look at me, I didn’t name it.) Save A Life Way leads to the large El Caballo staging area, just before the humane society buildings. As of this writing, the staging area is currently undergoing reconstruction, so directions and accessibility may change in the months to come. Park by the information board near the gate at the lot’s north end. 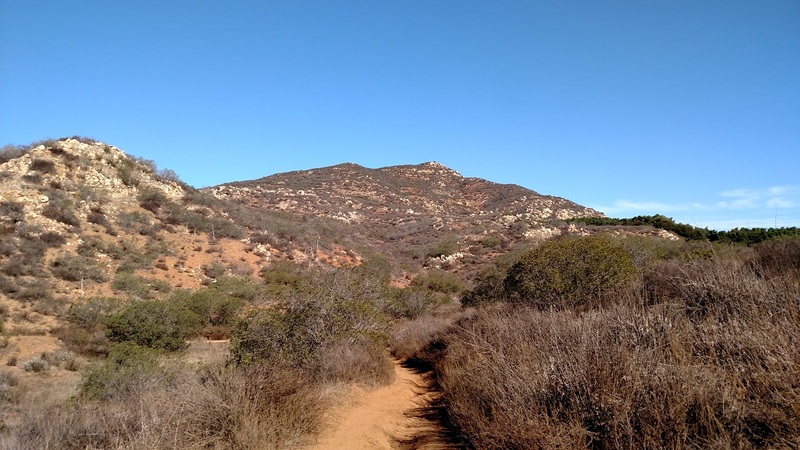 Stanley Peak (elevation 1,983) is one of the highest points in the Escondido area, and a relatively recent addition to the city’s popular Daley Ranch. 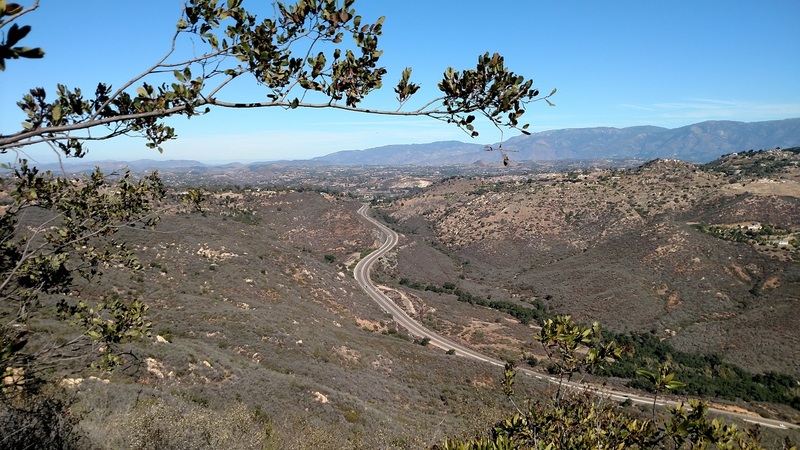 The most popular approach to the peak is from the park’s main entrance on La Honda Drive, but it can also be reached with a longer hike from the southeast, via the Caballo Trail. What the Caballo Trail lacks in scenery it makes up for in isolation (despite traffic noise from nearby Valley Center Road, you’ll probably see fewer hikers and cyclists here than on the park’s more popular trails.) A shuttle can be done with another vehicle left at the park’s main entrance. From the information board at the north end of the staging area, begin your ascent on the Caballo Trail. It ascends steadily, picking up about 300 feet in the first 0.6 mile before leveling out. 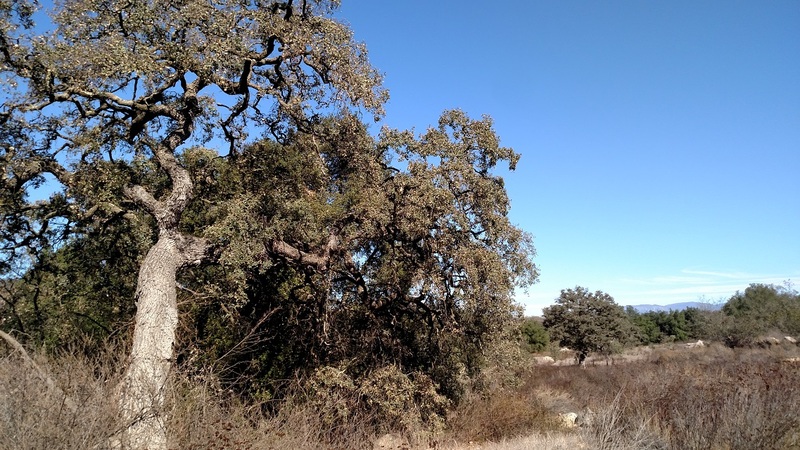 By now, the noise from Valley Center Road is less and a few oaks provide some shade. The pointy shape of Stanley Peak is visible in the distance. At 1.2 miles, you reach a junction with the Quail Trail, a shorter alternative. 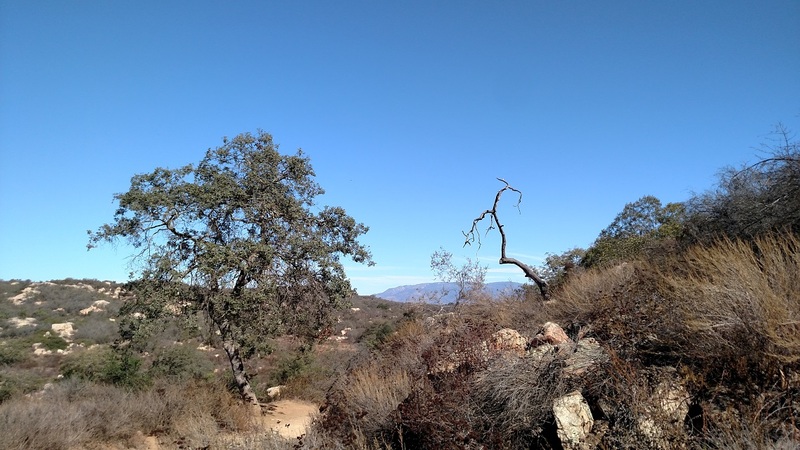 The Caballo Trail continues for another 0.5 mile to its upper end at the Sage Trail. Turn right onto the Sage Trail, one of the park’s main routes. 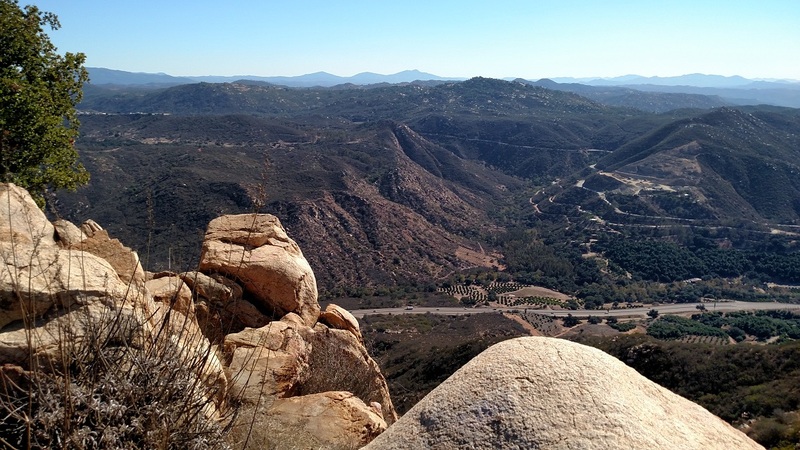 Almost immediately, a bench offers a spot to rest and enjoy a view of southeastern Escondido. The trail continues gradually uphill, passing a junction with the Coyote Run Trail, taking in views of Stanley Peak and a large red water tank on the south flank. 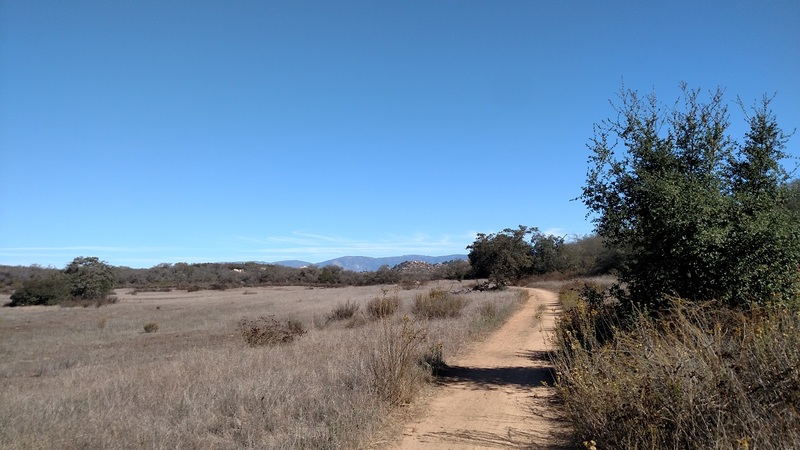 About 3 miles from the start, you crest a ridge and make a brief descent, passing an attractive meadow framed with Engelmann oaks, with a distant view of the Palomar Mountains. Soon after, a trail branches off to the tank and at 3.2 miles, where the Sage Trail bends to the left, turn off on the Stanley Peak Trail. The first section of the trail is flat and shaded by more Engelmanns. After passing another meadow, it curves to the right and begins a steep ascent to Stanley Peak. This stretch is on a western facing slope, so if you are hiking in the morning, the sun will be blocked. The last quarter mile is exposed however. 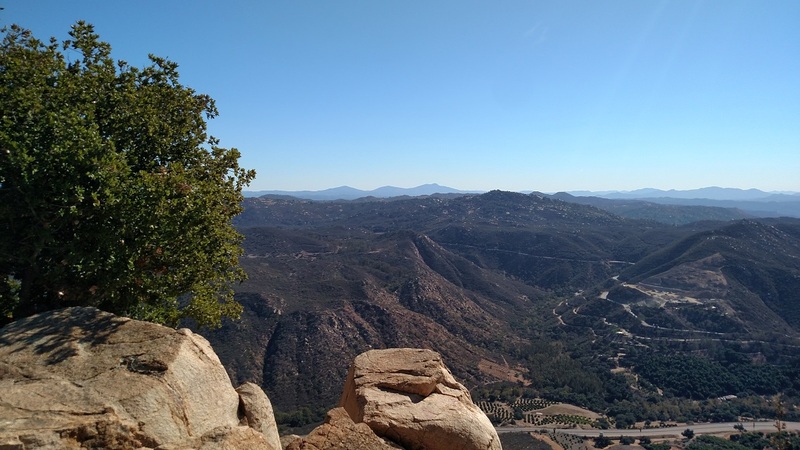 There vista points at both the north and south ends of the summit, from which you can witness a who’s who of San Diego mountains: the Palomars to the north, the Cuyamacas in the distance to the east; Iron Mountain and Mt. Woodson to the south and more. The actual high point can be reached with some easy rock scrambling. Despite the peak’s diminutive height, the views to the east are particularly striking; one gets a nearly aerial perspective on Valley Center Road, more than one thousand feet below.